“The Bloomberg Initiative for Global Road Safety-Legal Development Program (BIGRS-LDP) is against the measure legalizing motorcycles-for-hire/motorcycle taxis due to the safety concerns brought about by the inherent vulnerability of motorcycles as a medium of transportation.” These were the exact words from the non-government organization think tank that has its office at the University of the Philippines Center for Integrative and Development Studies in their position paper submitted to all the stakeholders regarding the legalization of motorcycle taxis here in the country, particularly Angkas. 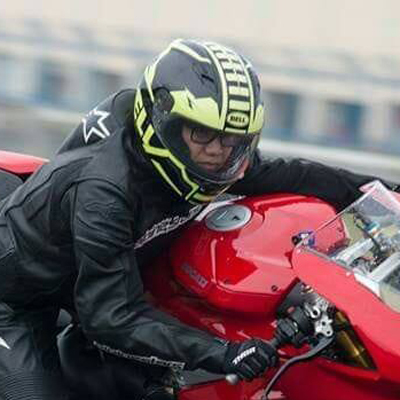 According to the group, they have continuously reiterated on several Technical Working Group (TWG) meetings that “motorcyclists are among the most vulnerable road users” (World Health Organization data) and that our current laws (Republic Act No. 4136 or the Land Transportation and Traffic Code) do not permit such use for motorcycles. To further support their argument, the group presented information gathered from statistical data, various expert sources, and studies, including the World Health Organization, Department of Health and the Online National Electronic Injury Surveillance System (ONEISS). The group claims that motorcycle riders “are among the most vulnerable road users” (along with pedestrians and cyclists) and constitute to “more than half (54%) of all road traffic deaths” globally, according to a 2018 WHO data. They also argued that the “innate vulnerability of their users [motorcycle riders] are because of the lack of crash protection during collisions.” Safety mechanisms such as dedicated motorcycle lanes or the mandating of an Antilock Braking System (ABS) on all motorcycles are not being implemented by the government thus still making motorcycles a high-risk mobility option for the general public. The group also pointed out that one of the risk factors is the rider's age and level of experience, where the “newbies” or riders with just a few years of riding experience often being the victim of road accidents due to among many factors, non-wearing of standard protective helmet, overconfidence, and speeding beyond the rider's skill. In the Philippines, according to the group, data from the MMDA and DOH indicates that motorcyclists were involved in about 53% of the total reported road traffic fatalities. “In Metro Manila alone, the actual number of motorcycles involved in road crashes in 2017 is 24,058, next to cars with 178 drivers killed and 7,905 injured; 37 passengers killed and 2,292 injured; and 32 pedestrians killed and 1,985 injured (MMDA data). The number of people killed on the road is the highest among motorcycles, as against all other vehicle types, while motorcycles are the second largest cause of pedestrians injured and the second largest number of involved vehicles in crashes.” Hospitals at the local and national level in the fourth quarter of 2017 also reported that 58.3% of the total crash-related injury cases involved motorcycles and sadly, only 2.8% of the total 6,579 injured motorcycle occupants were reported to have been wearing helmets. The BIGRS-LDP was not just all out against the legalization of motorcycle taxis without presenting credible solutions or alternatives. They argued that, there are more efficient alternatives and safety measures to bring people to their destination such as improvement in the safety of the existing modes of transport by strictly enforcing Republic Act No. 10913 or the Speed Management Law, enforcement of Republic Act No. 10586 or The Anti-Drunk and Drugged Driving Act, as well as Republic Act. No. 10054 or the Motorcycle Helmet Act and Republic Act No. 10666 or the Children Safety on Motorcycles Act. The group also called for the development of safe, accessible, efficient and environmentally-sustainable mass transportation system in line with the current administration’s vision, such as the immediate implementation of the PUV Modernization Program. Among these, BIGRS-LDP also called on for government action against the influx of substandard motorcycle helmets in the local market; incorrect use of motorcycle helmets such as non-fastening of helmet strap; LGUs and private subdivisions requiring motorcycle riders not to wear their helmets because of 'security concerns'. For BIGRS-LDP, they believe that proven and effective road safety interventions such as exclusive motorcycle lanes; anti-lock brake systems in motorcycles; helmet safety standards and its mandatory use along with strong penalties in case of violations and compulsory skill test for motorcycle licensing will be key to lower accidents for motorcyclists in the future. The Bloomberg Initiative for Global Road Safety-Legal Development Program (BIGRS-LDP) is a partnership between the Center for Integrative and Development Studies (CIDS), the think tank and policy research unit of the University of the Philippines and the World Health Organization (WHO). The partnership aims to reduce road traffic fatalities and serious injuries in the country with evidence-informed road safety policies and legislation through a fellowship/capacity-building based program for legal development program fellows. The Top Gun is back in the country to introduce the contenders for this year's Yamaha GP Philippines racing series.